Simon Lake is not remembered for the great submarine contest of 1893. Despite his future success in submarine development, Lake didn’t make it very far in the competition. Without the financial backing that Holland and Baker had, Simon Lake could not cover the required bond to be considered in the competition. What would have happened had Lake been able to complete the competition? History will never know. But Lakes’ contributions to submarine development are still considered a success. Simon Lake was born in Pleasantville, New Jersey in 1866, the grandson of Simon Lake who helped founded Atlantic City and Ocean City, New Jersey. His love of submarines was inspired by Jules Verne’s Twenty Thousand Leagues Under the Sea. Lake states “Jules Verne was in a sense the director-general of my life. When I was not more than ten or eleven years old I read his Twenty Thousand Leagues under the Sea and my young imagination was fired. This generation may have forgotten that Verne was a great scientist as well as the writer of the most romantic fiction of his day. I began to dream of making voyages under the waters, and of the vast stores of treasure and the superb adventures that awaited subaqueous pioneers. But with the impudence which is a part of the equipment of the totally inexperienced I found fault with some features of Jules Verne’s Nautilus and set about improving on them.” So began Lake’s passion for submarines and it was during his childhood that he planned his Argonaut submarine. While planning and designing his submarine at night, Lake grew up, worked with his father, and eventually moved to Baltimore where he married Margret Vogel. Vogel was supportive of Lake’s dream of building a submarine. By this time, the true difficulties of submarine development were not lost on Simon Lake. A childhood fancy had developed into exhausting research on how to overcome the issues with submerging a vessel. When the submarine contest came around, Lake believed that a submarine would be more profitable for commercial use than for the Navy. Simon Lake’s Submarine during production – notice the wheels! If Lake had been able to make the bid entering the contest, the history of the US submarine program may have begun very differently. But the rejection of his design only fueled Lake’s passion. Despite his loss in the Great Submarine Contest of 1893, Simon Lake continued his dream of building submarines. In 1894, he built his first submarine, the Argonaut, Jr. It was successfully tested in New Jersey and led to the creation of the Lake Submarine Company of New Jersey in 1895. It was this company that built the Argonaut, the first submarine to operate in open sea successfully in 1898. Powered by a 30-horsepower gasoline engine, the Argonaut sailed more than 2,000 miles from Cape May to Sandy Hook in New Jersey. Not only was the distance a great feat, but the submarine traveled during a nor’easter that sunk an estimated 100 ships. This feat even caught the attention of Jules Verne, who sent Lake a congratulatory telegram. Lake would attempt to sell several designs to the US Navy even after they began work with Holland, all of which were rejected. Lake would eventually take his designs to foreign countries who were happy to latch on to the advanced designs. Lake’s Protector, built in 1901, was sold to Russia in 1904. This design had diving planes mounted forward of the conning tower and a flat keel. Four diving places allowed her to maintain depth without changing ballast tank levels. Following this sale to Russia, Lake would spend the next several years designing and engineering submarines in Europe. Upon his return, the Lake Torpedo Boat company was founded in Bridgeport, Connecticut where the first Lake submarine was built for the US Navy. The Seal, or G-1, was the first of 33 submarines that were built for the United States Navy at Bridgeport, Connecticut, and in California at California Shipbuilding & Dry-dock. When the Lake Torpedo Company closed in the 1920’s, Lake would go on to invent new techniques in cargo and salvage developments. He is credited with basic submarine design elements such as even-keel hydroplanes, diver’s compartments, twin-hull designs, and the periscope. During his lifetime he achieved over 200 patents for his designs. Some people today regard him as the Father of the Modern Submarine. When the great submarine contest of 1893 began, John P. Holland was already a who’s who amongst Washington bureaucracy. The Irish born schoolteacher had already submitted two designs to the US Navy that had been rejected before construction could begin. A month before the competition, a lawyer provided Holland with the capital needed to form his own company, giving him a leg up once the competition began. Holland, as we all know, would go on to win the submarine contest and the Holland submarine would become the first official U.S. Navy submarine. However, who was John P. Holland and how did he become the favorite of those running the competition. Holland was born in Ireland in 1840. He would become a schoolteacher and taught in Ireland until his emigration to the United States in 1873. While teaching in Ireland, Holland studied the battle between the Monitor and Merrimac during the American civil war. Holland realized that the best way to take down such ironclads would be from underneath the vessels, and so Holland’s interests in submarines began. Once he moved to New Jersey, Holland began to design his version of a submarine. The project was funded by the Irish Fenian Brotherhood. The Irish Fenian Brotherhood was a group in the United States that brought together Irish immigrants to fight for Ireland’s independence from Britain. It was there hope, that Holland could design a submarine that would help win that independence for Ireland. His first design was a one man-operated vessel and was 14 feet, 8 inches long and three feet wide. It could displace 2.5 tons. While Holland considered his first attempt a failure, the brotherhood found it promising enough to fund a second design. The new submarine, nicknamed the Fenian Ram was launched in 1881. It was 31 feet long, nine feet wide and displaced 19 tons. During its first dive, the vessel reached 14 feet. On the second day, the submarine remained submerged for 2.5 hours. What made Holland’s designs unique was the use of water ballasts to submerge the vessel and horizontal rudders to dive with. During further tests, the submarine reached depths of 45 feet. The submarine was propelled by a 20-horseoiwer gasoline engine and used an electric motor that was used to recharge the vessels battery. By 1883, the Fenians, upset over escalating costs stole the design forcing Holland to break ties with the Brotherhood. Once the brotherhood had possession of the vessel, they realized they knew nothing about its operation. Of course, Holland refused to help. The Fenian Ram would never be used in battle and would sit in New Haven Connecticut until its engine was removed to a brass foundry. Eventually the craft ended up back in Holland’s adopted hometown of Patterson, NJ were it can still be visited today. Not wanting to be defeated, Holland brought his design to the US Navy. At this time, the Navy was still unsure about the place of submarines within its force. As the US Navy debated the topic, Holland would design a submarine for France called the Zalinski Boat in 1883. The key to Holland’s design was the use of electrical battery power rather than a petrol motor, which would not use up valuable air supply. When the 1893 contest came around, Washington believed that Holland was there best bet, despite previously being unsure about his designs. It was his previous discussions with the US Navy that led many to believe that he would be the clear-cut winner of the contest. George C. Baker’s protest over unfairness delayed the contest decision. Baker’s submission was testable, while Holland’s design was only on paper. This was in part because his model had been taken the Fenian Brotherhood. However, Baker’s plan backfired with a poor performance, leaving the judges to give the recommendation in favor of Holland. Baker protested the decision yet again, forcing the secretary of the Navy to delay his decision. One was finally made in 1895, after Baker’s death. During this period of indecision, Holland’s design was still being marketed to foreign governments. Finally, the Navy awarded the contract and construction could begin. To meet with naval guidelines, the boat was 84 feet long and 12 feet in diameter with a displacement of 168 tons. The requirements for surface speeds (15 knots) forced Holland to compromise his design. As requirements changed throughout construction, such as vertical thrusters and triple-screw configuration, it became clear that the design would never satisfy Navy requirements. During its launch in 1897, the submarine, named Plunger, the unshielded broiler made the fire room uninhabitable while on the surface. While work on the Plunger seemed to stall, Holland began a private venture at his Torpedo Boat Company (what became Electric Boat). This vessel reverted to his design for the Fenian Ram. This new design was 52 feet long and had a maximum diameter of just over 10 feet. Submerged she displaced 75 tons. Holland returned to internal combustion to power the boat with a 45-horsepower Otto gasoline engine. In February of 1898, Holland took his new vessel to sea. After some trial and error, the submarine had successful test runs off the coast of Staten Island, NY on March 17, 1898. It was only fitting that it was St. Patrick’s Day. By 1900, the US Navy was onboard with Holland’s new design and had scrapped the Plunger project. USS Holland was officially commissions on October 12, 1900. For the end of Holland’s career, his merger with the Electric Boat Company left him with a number of disputes and the inability to successfully run his own company. He would die in Newark New Jersey in 1914, a month before the first submarine victory of WWI changed naval battles forever. Stay tuned for the last installment of the Great Submarine Contest of 1893. In 1900, the U.S. Navy officially purchased its first submarine. However, seven years before that, the first full effort to launch a submarine program began with the Great Submarine Contest of 1893. Submarines had been utilized long before this, including during the Civil War. However, these submarines were rarely successful at their missions and posed real threats to their crews. On March 3, 1893, Congress approximated $200,000 for the building of an experimental model submarine. The word was put out to inventors that whoever came up with the best design would be awarded the contract. The Great Submarine Contest of 1893 began the drive for the U.S. Navy to fully dive into beginning their submarine fleet. We will discuss who submitted designs and how these men forever changed the face of the U.S. Navy. The rules on the competition “required that each design meet certain vital prerequisites including, guaranteed safety, ability to submerge, reliability underwater, reasonable speed, endurance, offensive power, and the ability to view the target.” One of the most interesting stipulations in the contest was that each proposal had to be submitted with a check equal to five percent of the bid. This check would he held by the committee if the design failed to meet the specifications. In June of 1893, the official opening of the viewing of these designs was held in Washington, D.C. Amongst the crowd were the three top contenders- Simon Lake, George Baker and John P. Holland. The first of those to make his name known was George Baker, a Civil War veteran. After the war, George moved to Polk City, Iowa where he established a hardware business. It was in his free time that he pursued the idea of designing a submarine. By 1893, Baker’s business was booming with the production of barbed wire, and he moved to Illinois. It was because of the successes of his business that Baker was able to follow through on his love of submarines when the competition opened. Baker felt that submarines could serve multiple purposes. He knew that they could be used to plant torpedoes beneath another vessel, but he also believed that they could be used to locate shipwrecks and conduct research at the bottoms of lakes and seas. To go along with this idea of submarine usage, he designed an electric light that could bean 16 feet while underwater. The light would be operated from an iron projection on the conning tower. The idea that the submarine could be used for non-military operations was revolutionary at the time. Baker began sea trials of his boat in 1892, ahead of the submarine competition. Some believe that Baker was the instigator of the competition, convincing Washington that a submarine was needed in the Navy. Commodore William Folger sent an expert to Detroit in June of 1892 to try Baker’s boat. However, at the time of this visit, Baker’s boat was being repaired and could not be inspected. This did not stop the expert, W. Scott Simms, from raving about the submarine. Folger believed that a combination of Baker’s boat and Simm’s torpedo boat would make a perfect destroyer for the Navy. When the competition opened in 1893, Baker had just refined his design and felt like he had a leg up on the competition, including John P. Holland, a better-known inventor at the time. Baker’s lawyer and a U.S. Senator convinced the Secretary of the Navy that the Navy perform its own sea trials on the Baker Boat before a final decision was made in the competition. Baker’s push for this sea trial was due in part because by July 1893, it was clear that the board was heading towards choosing Holland’s boat as the winner. Using his political influence, Baker was able to delay the vote and receive the trial. In fairness to Holland, the committee extended an invitation to Holland to present a boat of his own. However, Holland refused because Naval officers had assured him that his design would be approved. Holland even offered Baker $200,000 worth of his company’s stocks, if the latter would assign his patents “free of all encumbrances to the Holland interests.” Not surprisingly, Baker turned this offer down. By September, the trials on Baker’s boat were completed and they did not live up to Baker’s descriptions of the submarine’s capabilities. Before a design could be made in the competition, Baker died in 1894 at just 49 years old. George Baker’s vision for submarines being used for scientific research and technical purposes is one he unfortunately did not live to see come to fruition. We can thank his forward way of thinking for such works as the Great Lakes Research Center at Michigan Technological University and the NR-1 research submarine. Check back next week for part two of the Great Submarine Contest. When, on the morning of December 7, 1941, Japanese torpedo planes and dive-bombers appeared through the broken clouds over the Submarine Base at Pearl Harbor, the crew of the submarine USS Tautog (SS 199) was enjoying a period of rest, having just returned from a grueling 45-day pre-war exercise. With two thirds of the crew on liberty and the submarine undergoing a major overhaul, they were effectively disarmed. Yet, as soon as the sound of Japanese bombs exploding on the Naval Air Station across the harbor alerted them to the air raid, the crew was at battle stations. A .50 caliber machine gun was broken out of the locker and ammunition passed up from below, and soon Tautog was sending a steady stream of return fire skyward. By the end of the attack, Tautog’s crew reported shooting down one bomber and contributed to downing a second. The Submarine Force had drawn its first blood. Pearl Harbor attack, 7 December 1941,looking toward the Navy Yard from the Submarine Base during the attack. The submarine in the left foreground is Narwhal (SS-167). Tautog (SS 199) is berthed nearby. Four days later the Pearl Harbor based submarines, unscathed in the attack, were fueled, armed, and battle ready. One by one, they steamed out past the smoldering surface fleet, headed for Japanese home waters and the unknown. By New Year’s Eve USS Pollack (SS 180) was off the coast of Honshu, Japan, the first American warship to reach Japanese waters. Seven days later, she sent the 2,250-ton cargo ship Unkai Maru to the bottom of Tokyo Bay, the first confirmed victim of the US Submarine Force. Two weeks later, USS Gudgeon (SS 211), also on “Empire Patrol” in Japanese waters, torpedoed and sunk the first enemy warship, the submarine I-73. With the surface fleet still scrambling to recover, the Submarine Force was boldly taking the battle to the doorstep of the Japanese. Encouraging as this news would have been to a country still reeling in shock from the surprise attack on Pearl Harbor, no one but the submarine high command (and the Japanese) knew of these early submarine successes. The always close-lipped Submarine Force had gone completely silent, muted by life-saving censorship. Post-war reproduction of the battle flag of USS Tautog (SS 199) – the Navy’s top-scoring submarine. In action from the start, she single-handedly downed a Japanese plane during the air raid at Pearl Harbor (highlighted to the right). Sporting the insignia of the submarine and symbols representing Japanese ships sunk, battle flags like Tautog’s were flown from the masts with pride as submarines returned to port following a patrol. For the men of the US Submarine Force, these battle flags did the talking that they could not – providing a few pieces of the stories that couldn’t be told in full until decades later. By the end of the war, submarine battle flags were large, colorful, and crowded with symbols of the boat’s successes. Early battle flags, however, were more humble and much of the story of their origin has been lost in the fog of time. We do know that from the start of the war submarine crews kept a “scorecard” of their victories using miniature Japanese flags to represent ships sunk. A white flag with a crimson-red disc in the center (the national flag of Japan) indicated merchant ships sunk – the mising sun flag with its spreading rays (the Japanese Naval ensign) represented warships sunk. These scoreboards could be found in several places on the boat; painted on the breach doors of the torpedo tube from which the successful shot was fired, on the wardroom bulkhead, or on various panels such throughout the boat such as the flood and vent manifold. pennants added during each patrol onto one large piece of fabric that captured the entire war record in one place – thus the battle flag was born. USS S-32 (SS 137) entering Dutch Harbor, Alaska, after a 1943 war patrol. Note the broomstick lashed to the forward periscope indicating that the boat claimed a clean sweep – the sinking of all enemy ships attacked – and the Japanese flags on her flanks representing the vessels sunk. actually sent small boats out to meet submarines returning from their first successful war patrol to present them with a Jolly Roger to unfurl from the shears before entering port. By mid to late 1942, the earliest of American submarine battle flags began to appear, in the form of their own Jolly Rogers. Earliest known photograph of a submarine battle flag – USS Sturgeon (SS 187), Freemantle, West Australia, March 1942. Members of USS Plunger (SS 179) ship’s crew display her battle flag, June 1943.
usually a caricature of the fish after which the boat was named, the design was then painted or sewed onto a large cloth of contrasting color. Then, patrol by patrol, as the submarine’s torpedoes found their targets, the running tally grew. USS Batfish (SS 310) – champion “Submarine-Killer” of World War II. In February 1945, Batfish encountered three submarines and sank them in as many days. A feat that has never been matched since. The submarines are represented by three of the rising sun flags. USS Queenfish (SS 393) – was awarded a prestigious Presidential Unit Citation (the tri-colored pennant) for “defying severe air and surface opposition to strike with concentrated fury at heavily escorted Japanese convoys,” and for braving “the perils of a tropical typhoon to rescue eighteen British and Australian prisoners of war. These banners would serve as a “living canvas” on which to record the submarine’s accumulating successes and would often need to be lengthened as the war progressed. Some crews, full of the confidence that characterized the men of the Submarine Force, started with a flag large enough to accommodate the numerous symbols of success they were certain they would be adding over the course of the war. Battle flag of USS Snook (SS 279) at the conclusion of the fourth war patrol on the left, and following the seventh patrol on the right. Most of the flags were sewn entirely by hand out of bunting, sheets, or bolts of colored cloth carried aboard for making signal flags, usually by one of the more artistic crewmembers aboard. Although in the case of the famed USS Wahoo (SS 238), commanded by Dudley W. (“Mush”) Morton, legendary for his ‘down the throat’ attacks and surface-running gun battles, it was Morton himself, not a junior crewmember, who designed and produced the flag (and provided each sailor on the crew with a tee-shirt bearing the emblem). Enroute to Pearl Harbor, a Batfish crewmember prepares battle-flag pennants. Newspaper photograph showing CDR Dudley “Mush” Morton, Commanding Officer, USS Wahoo (SS 238) showing off the battle flag he created for Wahoo. His son wears a pint-sized version of the tee shirt Morton created for each of the crewmembers. Occassionally, a battle flag originated from a source outside the boat, as in the case of USS Cavalla (SS 244), who’s first battle flag arrived as a surprise via the mail in a package for one of its officers from a girl back home. She had used the letterhead from a letter sent on the boat’s stationary as the model from which to craft a beautiful silk flag in blue and gold. Or in the case of the imaginative and distinctive battle flag of USS Halibut (SS 232) designed by art students and instructors at San Jose State College in California, Alma Mater of one of the ship’s officers who took the oppurtunity to visit a former art professor and ask for a favor while the boat was in nearby Mare Island Shipyard for repairs in mid-1944. USS Cero (SS ) who’s crew for much of the war had no battle flag – only a broom to show a clean sweep – also obtained their flag late in the war while at Mare Island Shipyard, when they had the good fortune of running into a famous film cartoonist from a major Hollywood studio. While touring the boat he remarked that he had seen many boats in the shipyard with battle flags yet noticed that Cero had none. It was shortly thereafter that the crew received a battle flag featuring Bugs Bunny eating a carrot, with additional carrots around the borders indicating Cero’s successful attacks. As the competition between the boats began to flourish, battle flag designs became increasingly vibrant and detailed. Many a crew modified their original design to make it even showier. 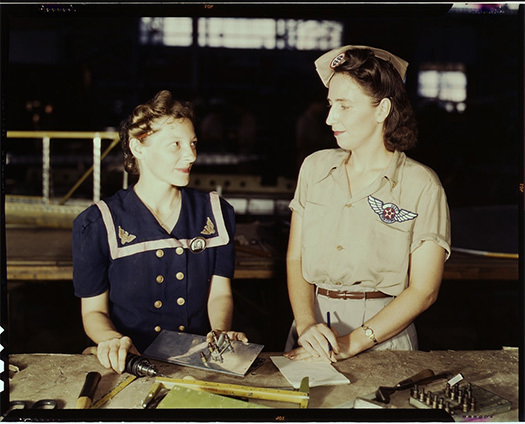 At the end of the war, “polished” versions of the flag were sometimes created, and professional seamstresses working at shipyard “sail lofts” were often hired to produce souvenir copies for each crewmember. USS Jack (SS 259) battle flag created on board the boat with the limited materials available. Representation of the “refined” 1945, end of war, version of Jack’s battle flag – complete with final tally of sinkings, ribbon bars and stars representing the type and number of awards earned, and sporting a much more colorful and detailed version of the ship’s insignia. In late 1945, a new manifestation of the submarine battle flag emerged. 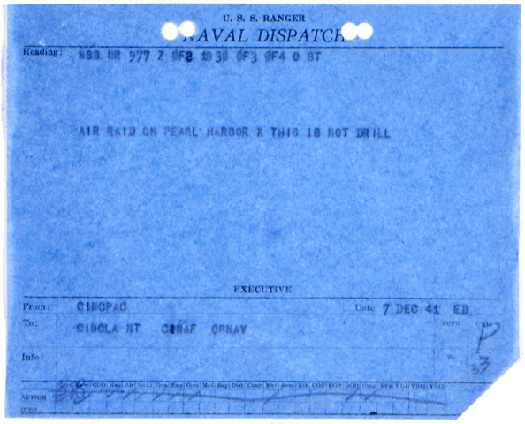 As the tide of battle rolled closer and closer to Tokyo, the Navy lifted the blanket of strict censorship covering the Submarine Force just a little in order to acquaint the world with the tremendous effectiveness of the ‘Silent Service.’ The stories of the achievements, previously revealed in brief glimpses of a fluttering battle flag as a submarine returned from patrol, were now boldly proclaimed in a much easier way to ‘read’ by painting them on the boat’s conning tower fairwater for all to see. When the hostilities in the Pacific finally ended and the war-weary submarines came steaming home to their US bases, it was often with each of the evolutionary stages of their battle flag proudly on display. The pennants strung from the masts, the battle flags flying from the periscopes or cigarette decks, and the conning towers emblazoned with the boat’s scoreboard, together told the tale of the unique and significant part each submarine played in winning the war. USS Atule (SS 403), a.k.a the “Fighting O’Toole,” returns to Submarine Base New London, in Connecticut following the end of World War II. In her short but illustrious career, at a time when enemy surface targets were rare, she had more than made her mark as her battle flag attests. Atule sank four Japanese warships in four successful patrols and exploded or sunk forty-nine floating Japanese mines by gunfire. Next time, in Part II of the history of submarine battle flags we will learn some of the unique visual vocabulary of the battle flags and ‘read’ in more detail a few of the remarkable stories the flags tell. In the process, we will discover that the US Submarine Force did much more to win the war in the Pacific than just sink enemy shipping. This article appears on the Library of Congress’ Today In History Page. The Images are from different divisions within the Library that help share the stories from that fateful day. 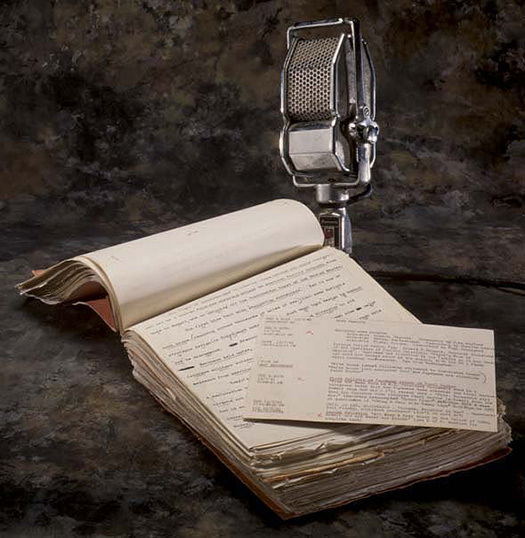 Preserving these images, documents and oral histories are an important way to keep alive our nation’s past. One of the best things about working at the Submarine Museum is the stories people tell. Every day you can hear a new story, whether it be from one of the docents, a sailor on duty or a veteran who comes walking through the door ready to spend the day reminiscing. Recently, the gift shop assistant manager was discussing submarine stories with one of the sailors working at the Nautilus. He told her that most of the time, the good stories were not ones someone could find online due to classification purposes or because they weren’t family friendly. The sailor was right. Many times, a submariner will begin his story with…”it was top secret, but…” The submariner will usually begin a fascinating story, only to finish by saying, “but you can’t know the rest…classified and all.” These men will often walk away laughing, pleased to be in the secret circle that is the submarine force. One such recent discussion reminded the assistant manager of one of their bestselling books in the store – Blind Man’s Bluff. In 1998, Blind Man’s Bluff became a New York Times Bestseller. The untold story of American submarine espionage during the Cold War has still not been publicly acknowledged by the US Navy. Some say the stories were juiced up for publication purposes, while others say that unlike a Tom Clancy novel, this was the truth about life on a submarine during the Cold War. In the opening of the book is a line from a song that goes, “And every man on board knew, when the going got rough, in this game of ‘Blind Man’s Bluff,’ somehow he’d pull her through.” The song is “The Ballad of Whitey Mack” by Tommy Cox. The song is a testament to a captain that will forever remain in the hearts of his crew and lived through life on a submarine during the Cold War. Chester Mack was born on July 20, 1931, in Glen Lyon, Pennsylvania. He graduated college with a degree in chemical engineering before beginning his Naval career in 1953. He attended nuclear power training school and was assigned to his first nuclear powered submarine in 1957, the USS Seawolf (SSN- 575). During his time at sea, Mack got married, had two daughters and received a Master’s Degree in International Law from Georgetown University. By the time he was 36, he was selected for command of a nuclear attack submarine – the USS Lapon (SSN-661). He became her first Commanding Officer on December 14, 1967. What no one knew on that December day was that the Lapon and her crew would fulfill the ships motto – Secret Et Hardi – Secret and Bold. While it might have been because he was young, or maybe it was because he was smart, Mack, or “Whitey” as he was known by many, lead his crew on some hair-raising missions. One such mission is described in Blind Man’s Bluff. Mack was told by an admiral that his men would get their presidential thank you, PUC certificates, and ribbons, in a ceremony as secret as their mission: wives and children cordially not invited. In answer, Mack kindly informed the admiral what he could do with his PUC. As far as Mack was concerned, there would be no award and no ceremony, unless the men’s families could be there. He stood his ground, and in the end, the awards were made in the steel bowels of a Navy ship, families present, without a single word spoken about how or why the men had earned awards signed by the president. In a 2002 performance, Cox recalled a visit with Mack in 1971. Mack showed Cox his Service medal and said, “Look what my crew earned for me.” Mack didn’t see the mission as being his success, but rather that of his entire crew. Mack’s humility was a characteristic that stayed with his crew long after their submarine careers. A year after Mack’s death, the Laon was inducted into the Submarine Hall of Fame at the annual Submarine Veterans of World War II memorial service. She was the 11th boat to receive the honor, with selection based on a submarine’s contribution to national security. At the ceremony, guest speaker, Retired U.S. Navy Capt. Peter Flannery cited the courage and resourcefulness of the Lapon’s officers and men. He said, “Our nation expected Lapon’s crew to be physically harder and mentally stronger than any adversary at sea. Lapon’s men persevered, never quit, and thrived on adversity. The strength can be greatly attributed to Captain Chester Mack. It is true that some of the best sea stories are the ones that can’t be told. The stories that crewmembers share with a glance and a knowing smile, or the ones shared at reunions in hushed tones or in quiet remembrance when thinking of a shipmate who has passed away. Blind Man’s Bluff has remained a best seller since its publication because for a few brief pages, we get to share in these fantastic stories of bravery and covert operations. We get to share in the pride and recognition of men like Mack and his crew for venturing into the unknown. Just like their families, we understand why so many of these stories remain classified. We appreciate what stories can be told and honor those that cannot. Both the Lapon patch and the book Blind Man’s Bluff can be purchased from the museum store website at store.submarinemuseum.com. All proceeds benefit the museum and its mission to preserve submarine heritage.